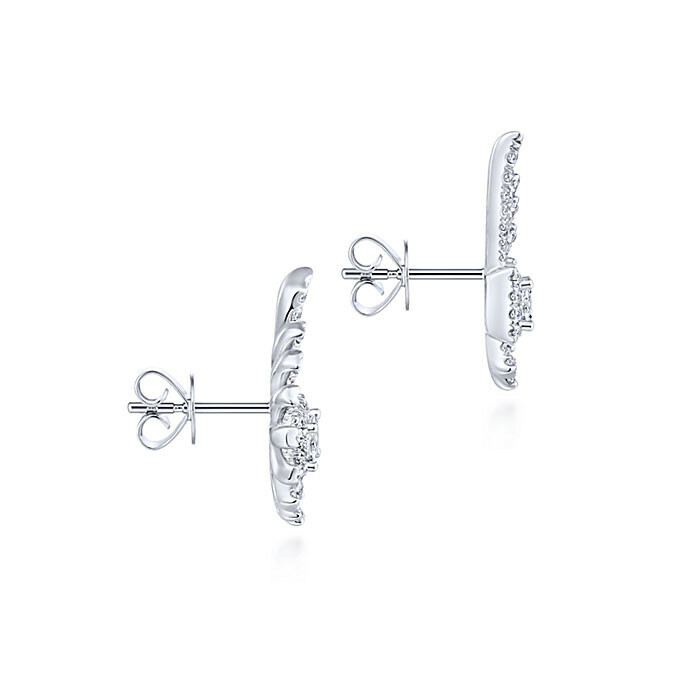 These contemporary studs are from the Gabriel & Co. Art Moderne collection. 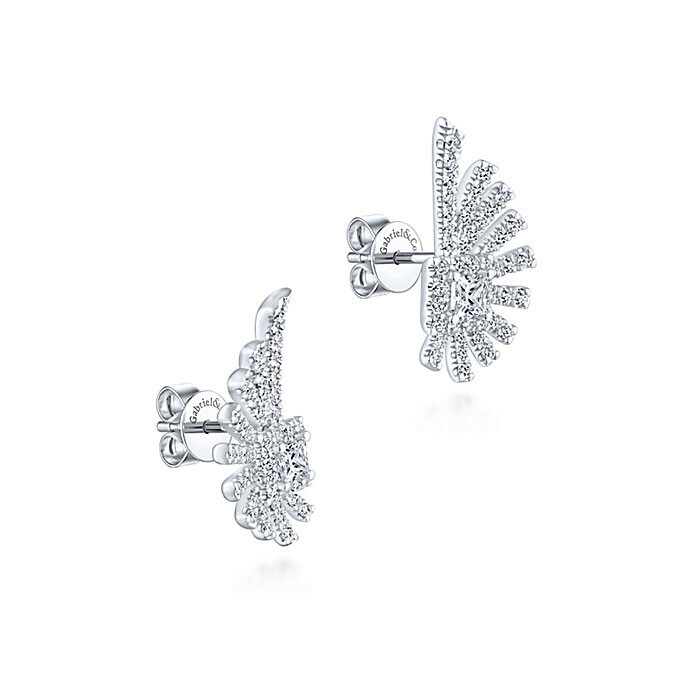 Crafted in 14K white gold, they feature a diamond-decorated design reminiscent of a bird's wings. 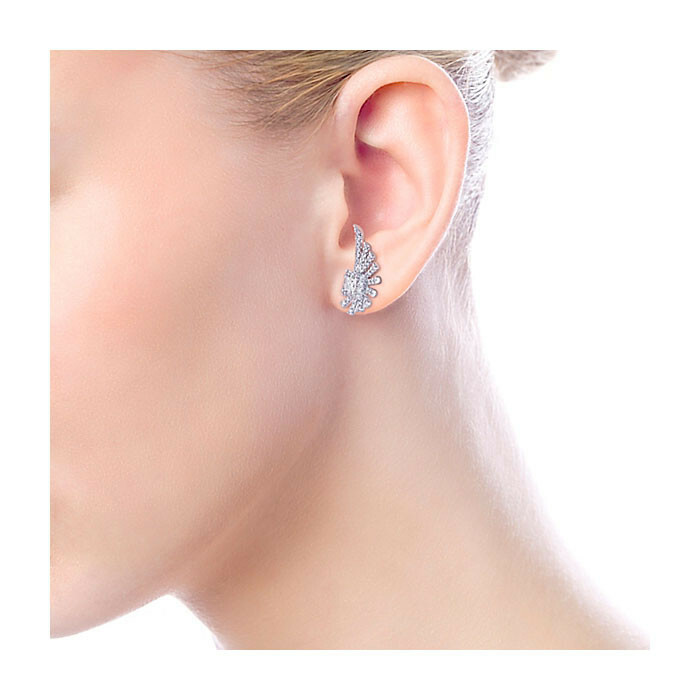 A post back holds the earring to your earlobe comfortably and securely. 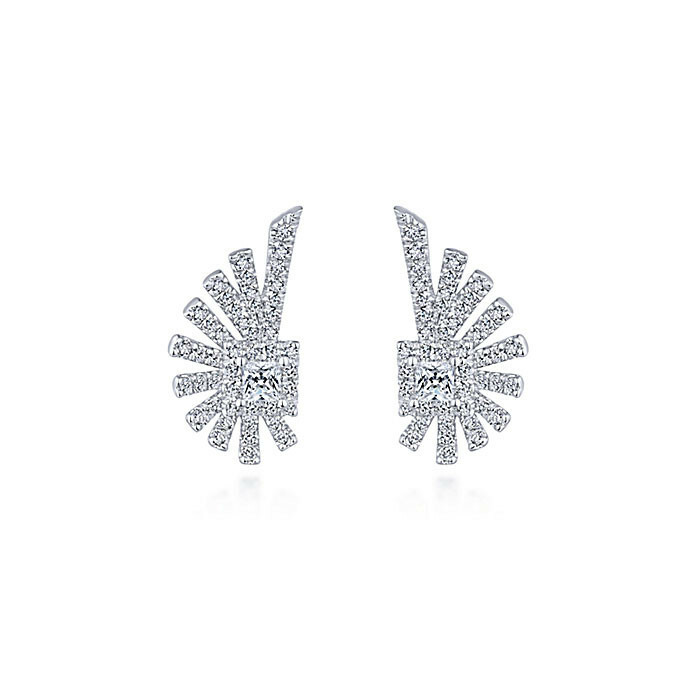 You can soar to new heights of style with these Gabriel & Co. stud earrings!